At Wolverhampton MMA we offer a friendly approach to learning mixed martial arts. We provide classes for both children and adults, specialising in teaching beginners. The management at the gym believe mixed martial arts is a sport for everyone regardless of age, gender or fitness level, all are welcome to train with the team at Wolverhampton MMA. 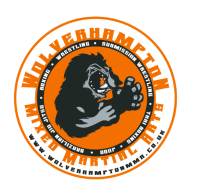 Brazilian Jiu-jitsu, Kick Boxing, Mixed Martial Arts (MMA) & Wrestling classes are available in Wolverhampton for children and adults. Daytime and evening classes offered all year round on various weekdays. Please contact Wolverhampton MMA for exact class hours for different age groups. Visit us at our website below to find out more and receive your first weeks training free. Just off the Cannock Road, less than a mile from junction 1 of the M54 we are easily accessible and have many members from Wolverhampton, Cannock, Stafford, Penkridge and Telford.